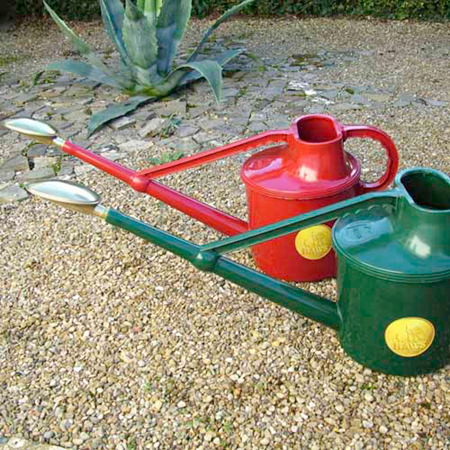 Amongst the best watering cans available, with an all brass rose, perforated for a gentle spray. Made of high density polythene they are strong, well balanced and easy to carry. Capacity 7 litres (1½ gallons). Spout length 40cm (16"). Available in RED & GREEN.